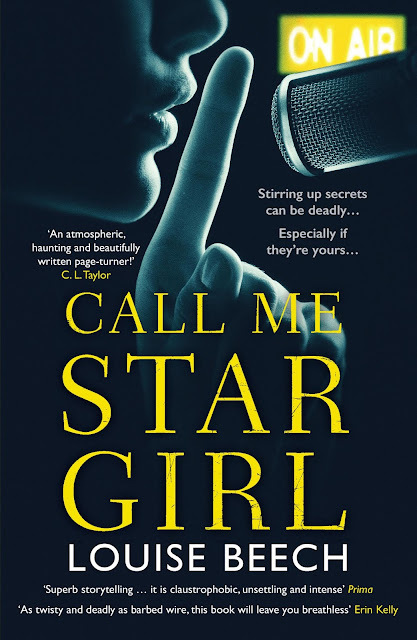 Call Me Star Girl by Louise Beech was published by Orenda Books in paperback today; Thursday 18 April 2019. My thanks to the publisher who sent my copy for review as part of the Blog Tour. My favourite poem, my favourite poet. These words from Philip Larkin's This Be The Verse sprang into my head as I was reading Call Me Star Girl. Larkin's darkly humorous observations on life, is not the only thing that he has in common with Louise Beech. He spent the last thirty years of his life in Hull, and will forever be associated with the city; a city that forms the backdrop for this enigmatic and dark story from one of the most gifted authors currently being published. 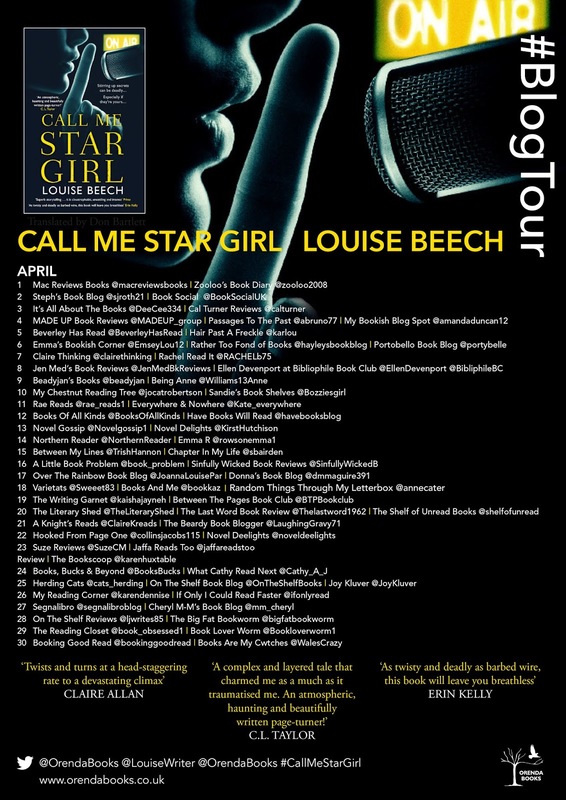 I've read all of Louise Beech's previous novels and was excited to hear that she'd taken yet another direction in her writing and that Call Me Star Girl is a psychological thriller. It most surely is. However, it's not a fast-paced, action filled story at all. It's a dark and sensuous story that slowly unfolds during one long and lonely night-shift in a radio studio in Hull. Stella McKeever has presented the late-night radio show to the city for years, but tonight is her final show. Stella asks her listeners to share their secrets, and tells a few of her own too. The reader learns about her relationship with her boyfriend Tom, in which Stella appears to be needy and ready to do anything to keep her man. Stella describes some of their sexual adventures, which to be honest, made me feel a little grubby and voyeuristic at times. However, the beauty of this author's incredible writing and her ability to weave together threads from what at first appear to be totally unrelated more than make up for a fleeting dirty feeling! The local community have been rocked by the vicious murder of a young pregnant woman. Victoria Valbon was found dead in a dingy alleyway in the city. Stella is haunted, quite literally, by Victoria and as the news about the murder enquiry is re-told, every hour, during her radio show, the links between Stella and the dead woman become more defined. It's an intricately balanced unstitching of layers of story that when finally sewn back together become something that was never expected. Probably Stella's most important and defining relationship is the one that she has with her mother Elizabeth. Beech alternates the point of view of this story, allowing narrative from both Stella and Elizabeth to be heard. Stella is a damaged and I think, a damaging individual. Her childhood experiences have left dark and deep scars on her psychologically and the reappearance of her mother into her life has raised so many questions. I have to admit that I really struggled to write this review. I could talk about the murder case that is pivotal to the whole story, I can expand on Stella's relationships, I could discuss the incredibly crafted supporting characters and the evocative and compelling sense of place. I can admit that I did wonder, during the first few chapters, if the author had made a mistake when switching genre; really did take a while to settle into the story. However, I was soon under the spell of this hugely talented and gifted author and I'm absolutely in awe of her ability to always, no matter what the genre, produce a story that is full of compassion and heart-felt words. 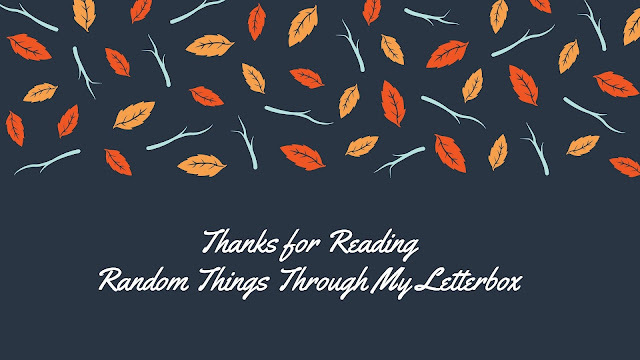 The reader is compelled to believe in every single paragraph, and to just want more and more. The darkest of darkness, the most taut and riveting words and characters who are fine-tuned and so believable. Louise Beech is a superb storyteller whose writing is just so emotionally lyrical. Call Me Star Girl is gripping, atmospheric and deeply satisfying. 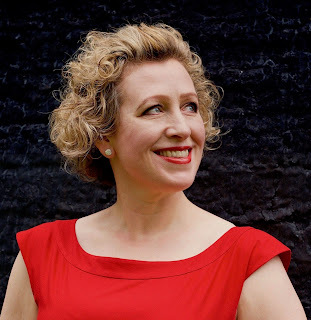 Louise's short stories have won the Glass Woman Prize, the Eric Hoffer Award for Prose, and the Aesthetica Creative Works competition, as well as shortlisting twice for the Bridport Prize and being published in a variety of UK magazines. Her first play, Afloat, was performed at Hull Truck Theatre in 2012. She also wrote a ten-year newspaper column for the Hull Daily Mail. Her debut novel, How to be Brave, was a Guardian Readers' pick in 2015. The Sunday Mirror called Maria in the Moon quirky, darkly comic, original and heartfelt, and The Lion Tamer Who Lost was described as 'engrossing and captivating' by the Daily Express. Anny Woodvine's family has worked at the ironworks for as long as she can remember. The brightest child in her road and the first in her family to learn to read, Anny has big dreams. So, when she is asked to run messages for the King family, she grabs the opportunity with both hands. 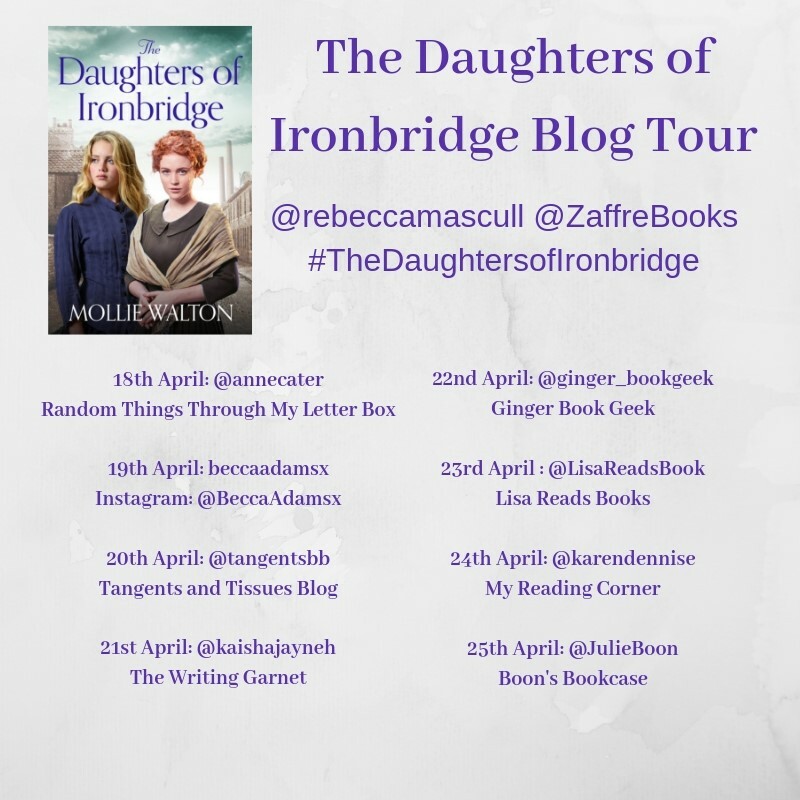 The Daughters of Ironbridge by Mollie Walton (aka best-selling author Rebecca Mascull) is published in paperback today; 18 April 2019, by Zaffre books. This is the first book in a planned trilogy. My thanks to the publisher who sent my copy for review and who invited me to take part on this Blog Tour. It's been a long time since I read a historical saga story. I spent my late teens and early twenties devouring the works of authors such as Catherine Cookson and Josephine Cox - books passed on from my mother and grandmother. They were great stories. I'm a huge Rebecca Mascull fan and was intrigued when I learned that she was going to write a saga trilogy, and am delighted to have had the opportunity to read this one early. Set in 1830s Shropshire, with a backdrop of the dirty, dangerous and grimy industry of the steelworks, this story is ultimately about friendship and community. There has always been a large class divide in this country and whilst we have moved on a little as we enter the 21st Century; almost 200 years ago that divide was large and almost impossible to cross. The ironworks, owned by the King family has loomed over this Shropshire town for many years. The furnace with it's blazing heat is the central point of the town. Anny's family, like so many others in the town depend on the ironworks; for money and for food. Anny is an only child, which is unusual amongst the poorer families in the area, and she can read and write; taught by her mother; this in itself makes Anny stand out amongst the other children. When she is sent to the ironworks to take her father's forgotten lunchbox, she includes a note to him. This note changes her life. She is recruited to run messages for the King family; an honour for Anny and also the beginning of a friendship with Margaret, the lonely daughter of Mr King. The young girls form an strong friendship. Despite their differences in class, they find much to love about each other. Margaret King's mother died in childbirth and her father has never forgiven her. Her older brother is cruel and taunts and bullies her mercilessly. Anny becomes Margaret's only ally, apart from her grandmother Queenie who although kinder to her than the other members of her family, always put the King name first, before anything else. Anny advances and gains a job in the King office which again, marks her out from the rest of her community and also brings her to the attention of Margaret's bullish brother Cyril. The girls' friendship is sorely tested when Anny rejects the advances of Cyril, and also when both of them fall for the charms of the same man. This is a wonderfully written historical story that I completely lost myself in. This author's ability to draw characters who the reader will either love dearly, or hate with a ferocity is excellent. Her sense of place is extremely well done and the scenes in both the ironworks, and later on, in a prison are dramatic and very powerful. It is clear that the author has carefully researched her subject and her keen eye for detail within relationships; both friendships and family is vivid and absorbing. Her female characters are feisty and memorable and the reader will cheer them along, all of the way. I really loved this story and I'm looking forward to the next in the series, to see just what's in store for Anny and her friends and family next. She has always been fascinated by history and on a trip to Shropshire, while gazing down from the iron bridge, found the inspiration for what has become her debut saga novel, part of a trilogy titled THE IRONBRIDGE SAGA, published by Bonnier Zaffre. 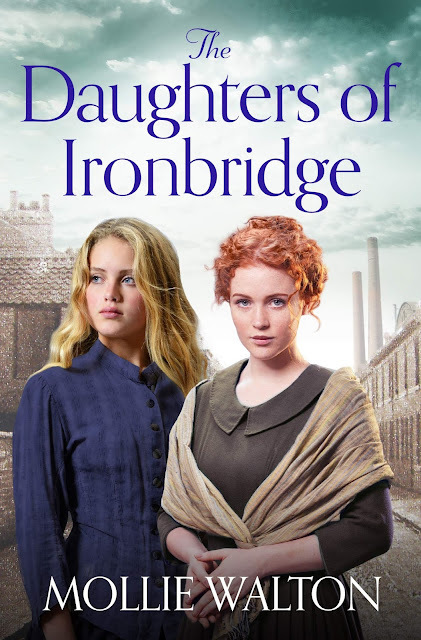 She is currently hard at work on the three books, with the first novel due for release in April 2019, set in the dangerous world of the iron industry: THE DAUGHTERS OF IRONBRIDGE. Under the pen-name Rebecca Mascull, she is the author of three historical novels. Her first novel THE VISITORS (2014) tells the story of Adeliza Golding, a deaf-blind child living on her father’s hop farm in Victorian Kent. Her second novel SONG OF THE SEA MAID (2015) is set in the C18th and concerns an orphan girl who becomes a scientist and makes a remarkable discovery. Her third novel, THE WILD AIR (2017) is about a shy Edwardian girl who learns to fly and becomes a celebrated aviatrix but the shadow of war is looming. All are published by Hodder & Stoughton. 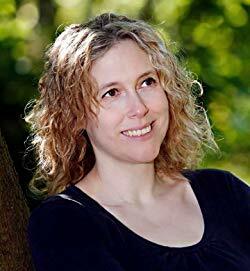 She has also recently completed the final chapters of her friend and fellow novelist Vanessa Lafaye’s final work, a novella called MISS MARLEY, a prequel to Dickens’s A CHRISTMAS CAROL. This novella was published in November 2018 by HarperCollins. Rebecca has previously worked in education, has a Masters in Writing and lives by the sea in the east of England. Baxter is many things - raconteur, retired music teacher, rabble-rouser, bon viveur - but 'good patient' he is not. He had every intention of living his twilight years with wine, music and revelry; not tea, telly and Tramadol. Indeed, Melrose Gardens is his worst nightmare - until he meets Gregory. Baxter's Requiem is a glorious celebration of life, love and seizing every last second we have while we're here. Baxter's Requiem by Matthew Crow was published in paperback by Corsair on 7 March 2019. 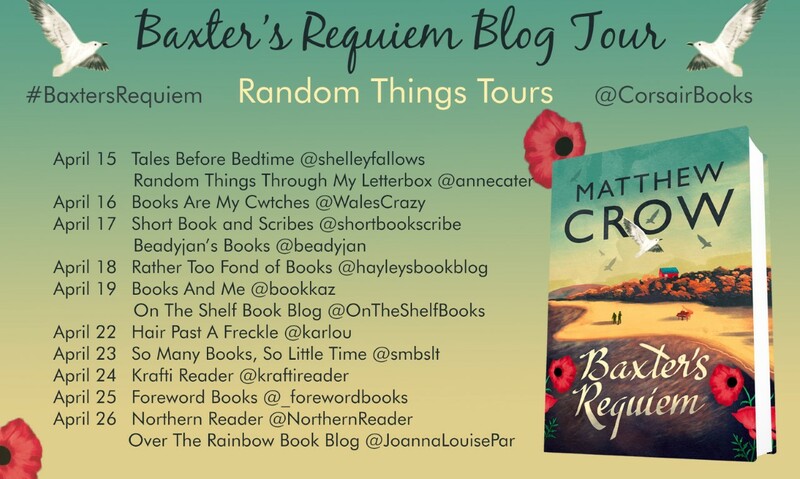 As part of the Random Things Tours blog tour I'm delighted to share my review of this wonderful book. I reviewed the hardback editions here on the blog last year. I adored it; I adore this author. I'm also thrilled to offer one paperback copy of Baxter's Requiem as a prize to one of my readers. Entry to the competition is simple; just fill out the competition widget at the end of this post. There are certain books that I proudly display on my 'keeper' shelf, and Matthew Crow's 'In Bloom' is one of those. I read and reviewed it here on Random Things way back in September 2013 and I've bought many copies since then. I also have a special place in my heart for his novel 'Another Place' which I read and reviewed in 2017. 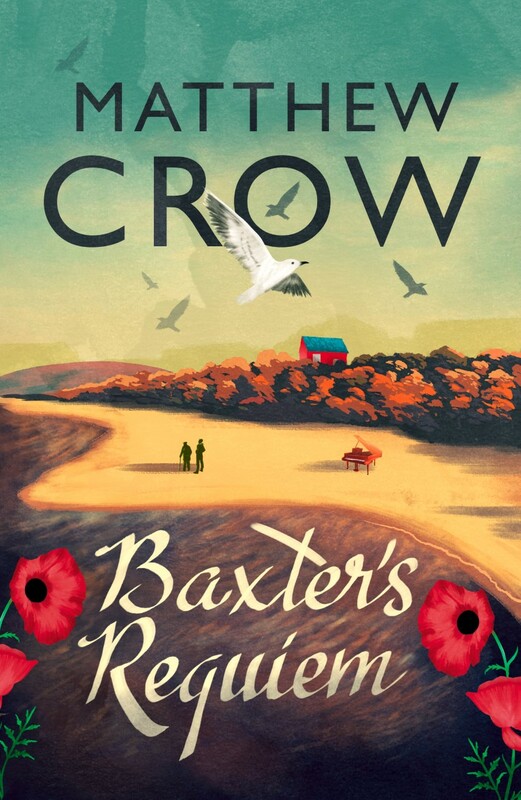 I was delighted to hear that Crow had published Baxter's Requiem, it seems like a very long time since I've read him. I have not been disappointed. Yet again, this young talented author has stolen my heart, taken my breath away, and left me in tears. This is a truly exquisite story, and I've already cleared a space on my shelf, this one is not leaving the house! Mr Baxter is ninety-four years old. He has all of his faculties intact, he's bright and funny, and dry witted. He's also fallen down the stairs, and until he's properly back on his feet, he's taken a place at Melrose Gardens Retirement Home. Mr Baxter is not the best of patients. He's used to living his life just as he wants to. With music and wine and fine food and the company of his friends. He doesn't have a partner, or children and has plenty of money. Melrose Gardens has never had a patient quite like Baxter before. Baxter doesn't give his affection away freely. He's sharp tongued and is nobody's fool, but when he meets nineteen-year old Greg, he sees something in him that he thinks that he can fix. Greg has given up on life. He lives with his father who spends his time either working, or drunk. Greg used to be the best at everything; he was a top sportsman, on course for a higher education; destined for great things. Greg has suffered a loss in life that is so huge and so painful that nothing else matters. Coming to work at Melrose Gardens; serving tea and shuffling paperwork is about all that he can manage. Baxter knows that at the age of ninety-four, he hasn't realistically got lots of years ahead of him, and his one wish is to to travel to the war cemeteries in France to find the resting place of his one and only love Thomas. Thomas was called up towards the end of the Second World War and didn't return; missing presumed dead and Baxter has mourned for him and thought of him every single day since. By enlisting Greg's help to ensure that he gets to France, Baxter gives Greg a purpose, and what follows is a beautifully constructed tale of how one man helps another in such a wonderfully subtle and unassuming way. Matthew Crow has structured his novel perfectly. The reader learns about Baxter's early life; how he became wealthy, and how he dealt with his sexuality in times that were so different to today. At it's heart; Baxter's Requiem is a heartwarming and incredibly insightful love story, with a difference. As in his previous novels, the author excels at creating the most wonderful of characters. Not only the delight that is Baxter himself, but the supporting cast who stand equally alongside him. His lifelong friend Winnifred; crazy and spontaneous and an utter delight. Thomas: the man who showed him the perfection of true love and not forgetting the wickedly funny staff at Melrose Gardens. Each and every one of them are impeccably portrayed, I felt as though I knew all of them intimately. Baxter's Requiem shows us the all-enduring power of relationships, both long-term and newly formed and is an absolute joy to read. I laughed and I shed tears. Stunning, and highly recommended. Matthew Crow was born and raised in Newcastle. Having worked as a freelance journalist since his teens he has contributed to a number of publications including the Independent on Sunday and the Observer. He has written for adults and YA. 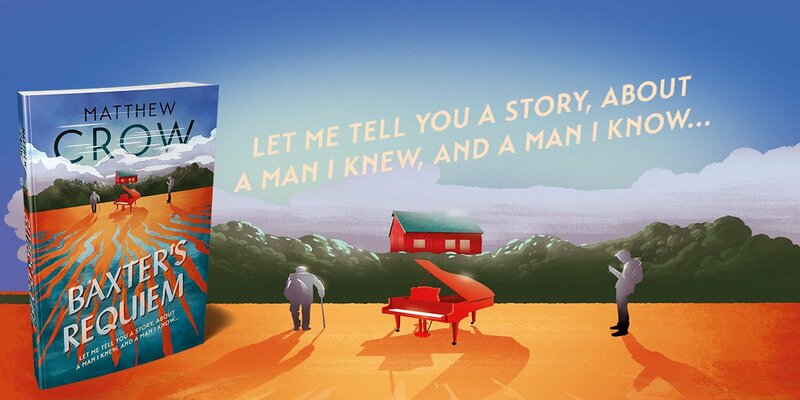 His book My Dearest Jonah, was nominated for the Dylan Thomas Prize.